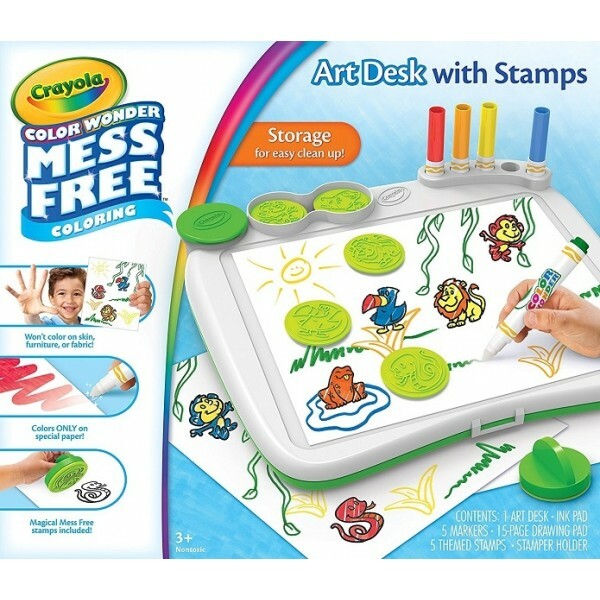 Let your kids create colorful, mess-free masterpieces wherever they go with the Crayola Color Wonder Mess Free Art Desk with Stamps! 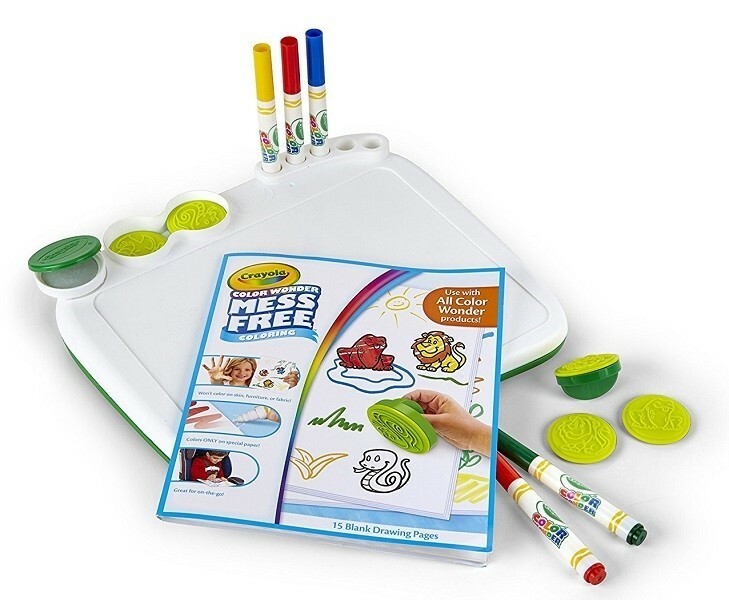 This portable art desk lets kids create art projects using 5 included Color Wonder markers and 15 pages of blank Color Wonder paper. Color Wonder markers are specially designed to mark only on Color Wonder paper, so you will never have to worry about them leaving marks on clothes or furniture. Five jungle-themed stamps and a non-drying ink pad are also included, giving kids a fun and easy way to add animal characters to their creations. 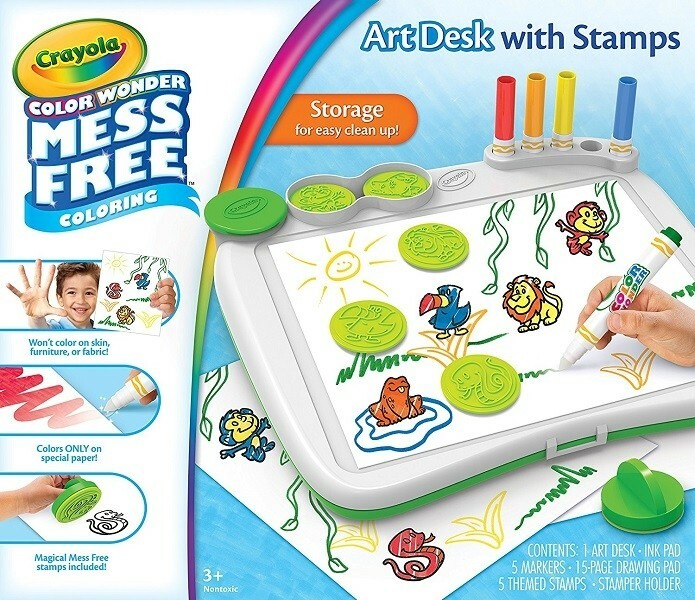 For added convenience, the Color Wonder Mess Free Art Desk with Stamps features self-contained storage, making it easy for kids to store the pieces and easily take along their Color Wonder art supplies on the go. For more drawing fun, don't forget to pick up extra Color Wonder drawing paper.